Legacy gifts to the Maryland Science Center can affect our institution for generations to come. Providing a gift through your will, retirement plan, or insurance policy is one of the simplest ways to support the future of the Maryland Science Center. After your lifetime, your gift provides valuable resources to support our mission and make a difference in the lives of future generations. Legacy gifts may provide unrestricted operating support or can be directed to specific programs and initiatives. To become a member of the Maryland Academy of Sciences Legacy Society, just inform us of your intent to leave a gift to the Maryland Science Center. Your membership allows us to thank you and recognize you for the plans you have made, and it may inspire generosity in others. However, if it’s your preference, we will keep your plans confidential. Members of the Maryland Academy of Sciences Legacy Society are recognized (with their permission) in a special section of our Annual Report and on our donor wall. Additional benefits of membership in the Society also include an invitation to the annual Legacy Society Luncheon and access to special events throughout the year. But the most important benefit is the knowledge that you will inspire people of all ages to pursue and appreciate the sciences long after your lifetime. How to designate the Maryland Science Center as a beneficiary of your retirement plan or life insurance policy. Simply request a change of beneficiary form from your plan administrator or insurance carrier. Then return the completed form to them. The Maryland Science Center would greatly appreciate a copy of the change for its records – this will ensure your wishes will be properly followed and recognized. How to remember the Maryland Science Center in your will. Including the Maryland Science Center as a recipient of a percentage or specific dollar amount in your will is easy to do. Each individual situation is unique; you may find the sample language below helpful. We encourage you to share your final will provision with the Maryland Science Center – this will ensure your wishes will be properly followed and recognized. “I bequeath _____ ($ or %) of my residual estate for the ________ program at the Maryland Academy of Sciences trading as the Maryland Science Center (Tax ID# 52-0668166) or its successor, located at 601 Light Street in Baltimore, MD. If, at the time of my death, this program should no longer exist, the Maryland Academy of Sciences Board of Trustees may use these funds in their sole discretion. Important information about the Maryland Science Center to include in your will or beneficiary forms. 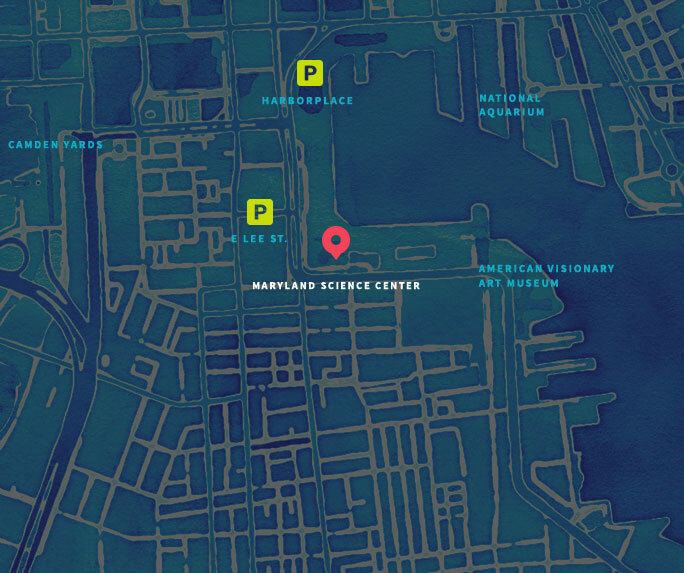 If you are considering the Maryland Science Center in your estate planning, please contact Marty Perreault, Senior Director of Development, at 410-545-5970 or mperreault@mdsci.org to learn more. We’re happy to answer any questions you may have. The Maryland Science Center is 501(c)(3) nonprofit organization, Federal Tax ID# 52-0668166. All contributions are tax-deductible to the full extent allowed by law. Disclaimer: The Maryland Science Center provides general information only and does not provide financial counseling or estate planning services. For tax or legal advice, please consult a professional financial advisor or an attorney. Young people must be taught the “a-ha” as well as the awe of science, and this happens both inside and outside the classroom. People of all ages need exposure to real science – not pseudoscience. What better way than the fascinating and factual exhibits and programs of the Maryland Science Center? Through my contribution I hope the Maryland Science Center keeps growing. Science is constantly changing, and the public will always need the Maryland Science Center to support science knowledge and offer invaluable experiences for children and adults.